First of all, thanks are to you if you attended our show on Saturday. If you didn't, well, we understand. It's hard to stay up late, isn't it? So, we had a really good show, mostly because we played with nice bands and the folks at the Atlantic were kind to us. By 'nice,' I don't mean that the music was 'nice,' I mean it was cool to talk with the bands, everyone was pleasant and generous, and it was a good hang. Dear and Glorious Physician were just as I remembered them, by turns furious, delicate, spacious, complicated. Die Alps was cool, I personally zoned in on some great guitar histrionics from the dude on the right. 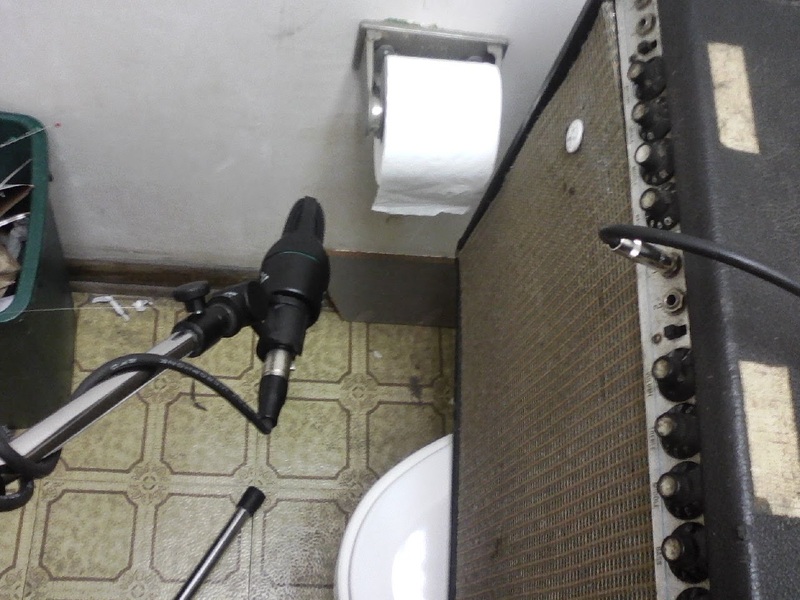 You know, the guy who had an AC30 and an attenuator. Holographic Teeth were ferocious, they had some real garage Sonic-Youthy stuff going on, and they made a hell of a racket. So good bands, friendly folks at the club, we had fun doing our thing—a good show. I believe I've posted this on the blog before, but Ned (living now in Rochester) has this up on his wall in his office at his very Important job. "This" of course is the headstock from Steven's DanElectro guitar, which he smashed at what was, at the time, our Last Show Ever. The other stuff in the frame is some words from this very blog. 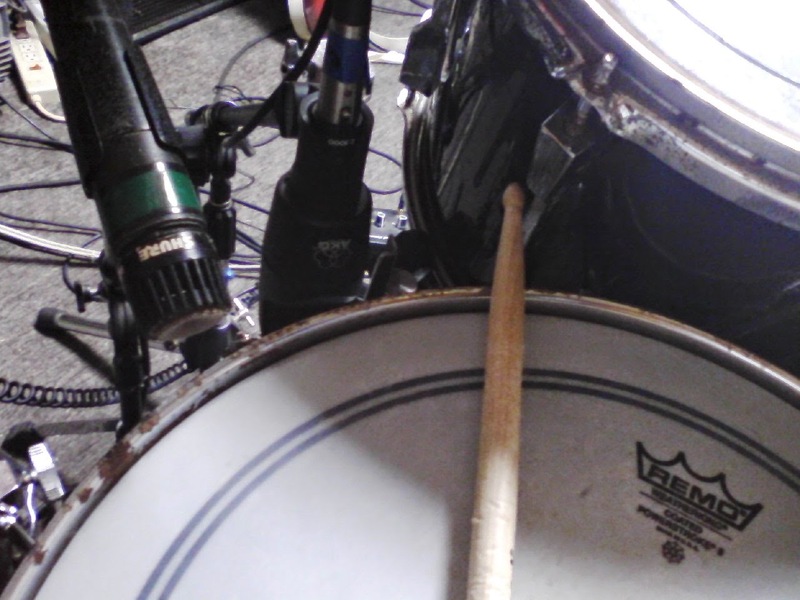 A bit of news from Squeaky: 2 shows this fall, and some new recordings. 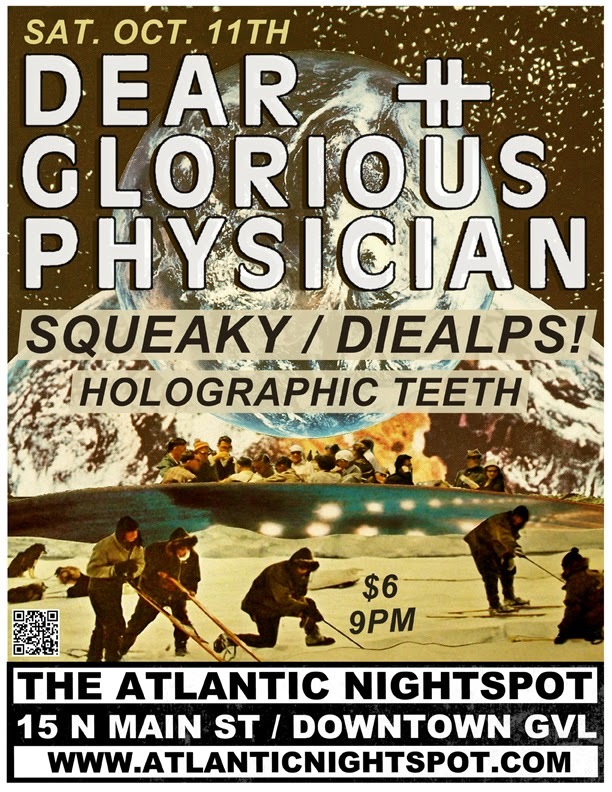 This Saturday, Oct. 11, Squeaky will be playing at the Atlantic, happily supporting Dear and Glorious Physician. We played with these folks a long time ago, and if you don't already know, they're really good. The show also features DieAlps! and Holographic Teeth. Saturday, November 8, Squeaky will again share the stage at 1982 with our compatriot Shermy D, as he unveils his new band. More details on that as they become available. Also, our Soundcloud page has a new collection of songs (untitled, featuring a picture of bunnies). 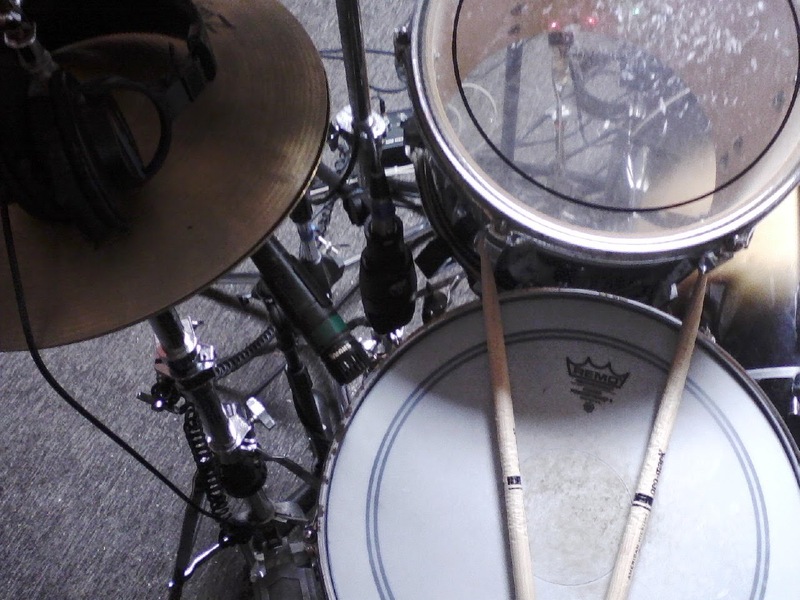 Two new songs and new recordings (or reworkings) of 4 songs you know (and might even like). There's a bunch of old songs there, too. Trashy? Yeah, we got that covered. Need to go? Too bad. 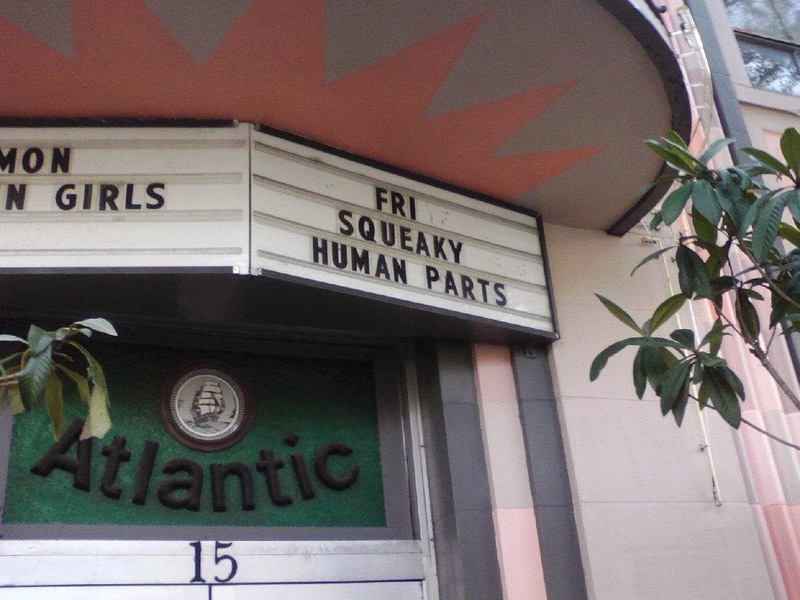 Do you have any squeaky human parts? We do. 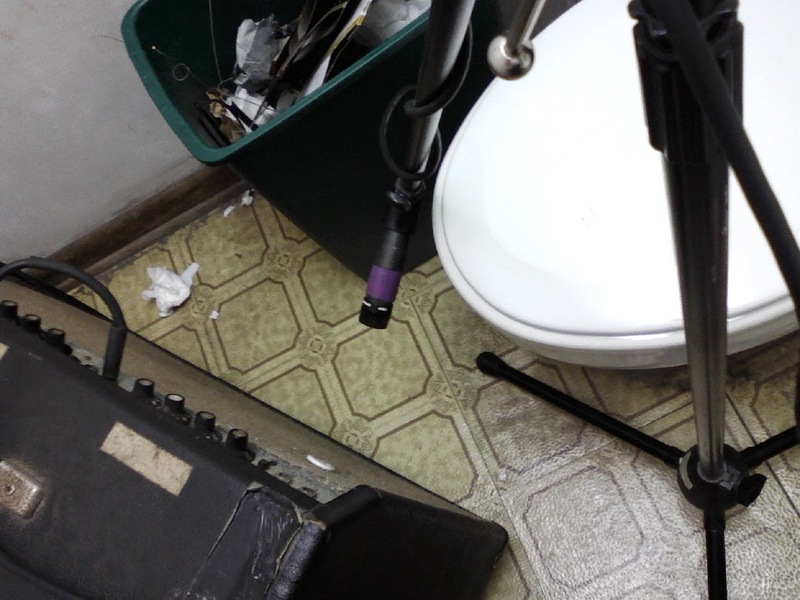 Last night, at practice, we were discussing crapping one's pants in public while in a court of law (these things come up!) and Mower Steve was heard to say: "Justice isn't blind! It's Brown!" If that isn't a song or a concept album, it surely will be soon. Yes, it's going to be extremely cold this weekend, but that shouldn't keep you from leaving your house to see a Rock Show. Squeaky will keep you warm. 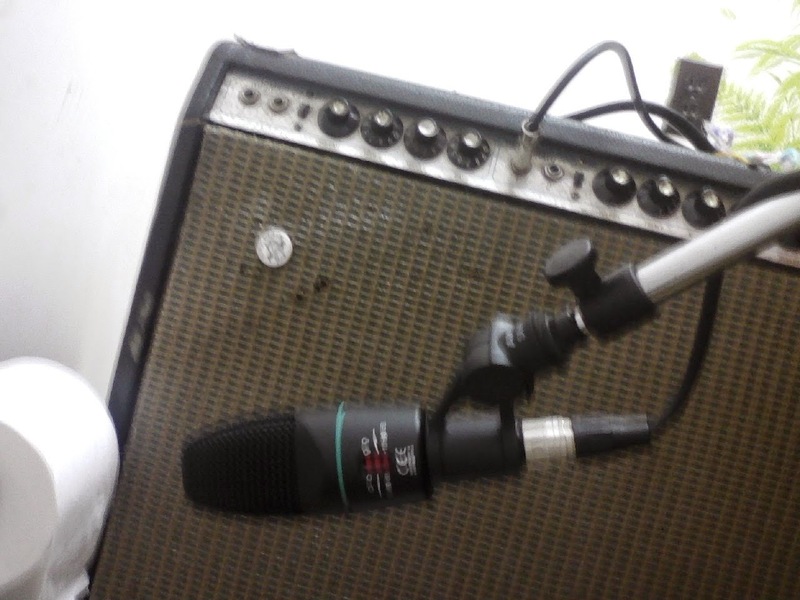 Besides a loud racket, our all-vacuum-tube brand of amplified rock music creates a lot of heat. 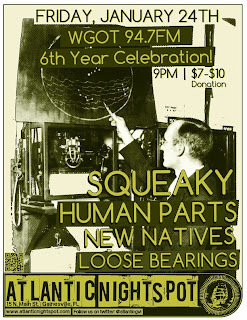 This Friday, basically tomorrow night, Squeaky will be at the Atlantic as part of the WGOT (94.7 Low Power FM) 6 year anniversary celebration. The show is a benefit, $7-10 donation, and features Loose Bearings, New Natives, Human Parts, and Squeaky rounding out the night. Show starts @ 9, we'll go on last (late). And the flyer should be attached. Thanks, and we hope to see you there. Squeaky will finally get off our collective butts and get into some rocking! 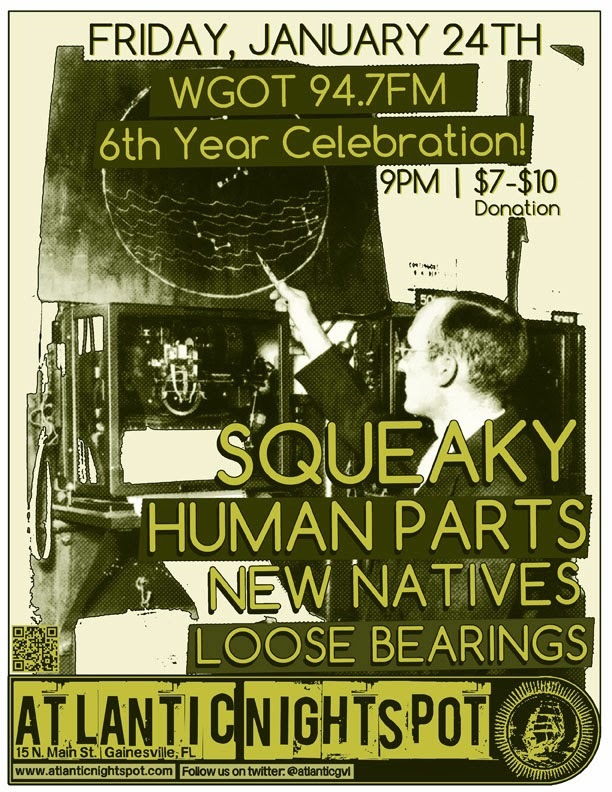 Friday, January 24 at the Atlantic, we'll be part of WGOT's six-year anniversary bash.